hey everyone! Have you enjoyed the week so far? Check out everything from the week if you are just joining us! You’ve missed some great stuff like printing your digis on to fabric, a glitzy golden tag, watercoloring with Distress Inks and a Shadow Box card. This week’s giveaways (from Mandy, Denise and myself) can still be entered thru Oct 29th so going back is always a good idea! 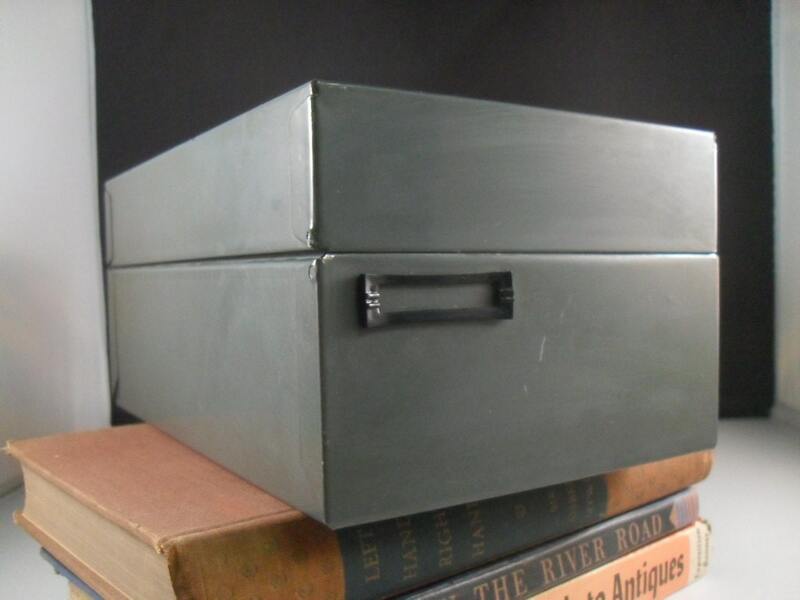 Today I want to share what I did for my new stamp storage and get you to think out of the box a little bit for yours too. 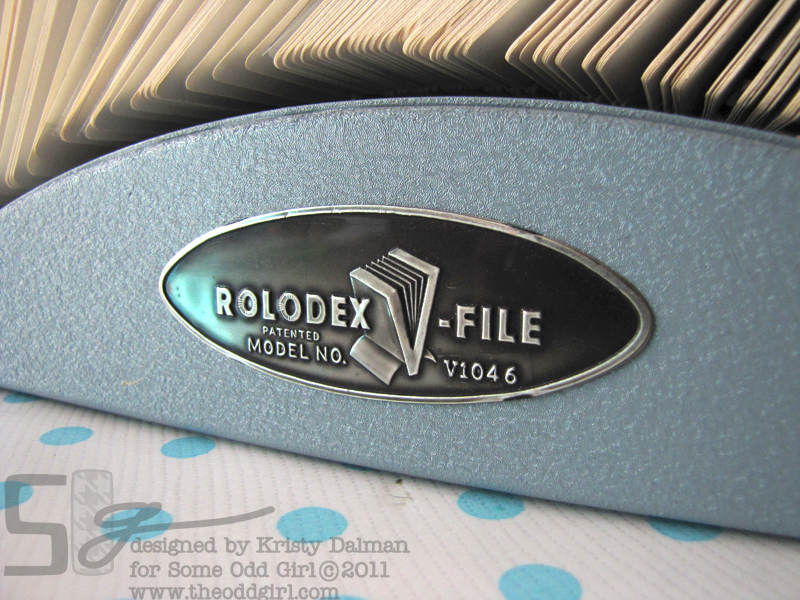 Its a vintage Rolodex! I bought this particular one because the size of the cards included. They were 4×6 and I know I’d want that big for the larger sets. Also I love how this one was adjustable with the front and back going up and down. Getting them in and organized was really easy! 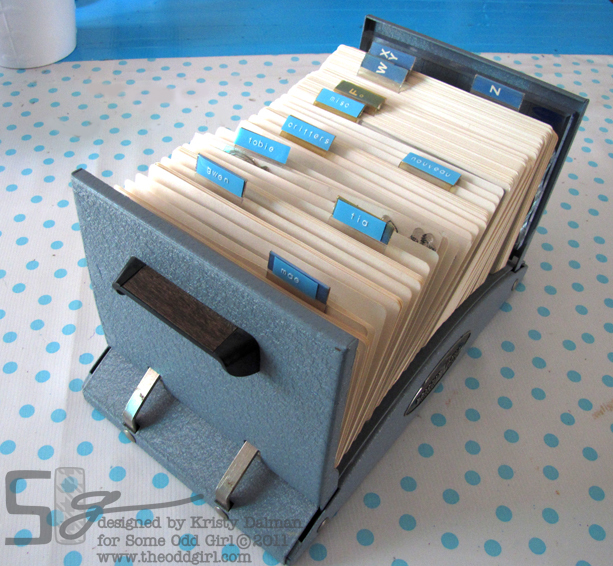 I kept them in their original plastic backing and used my ATG gun to adhere it to the cards of the Rolodex. 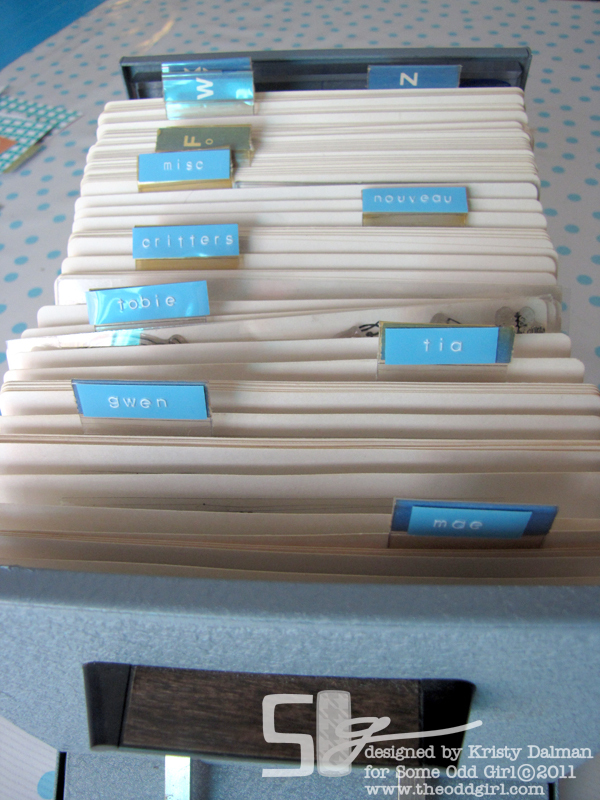 I then organized them and moved the included dividers around and labeled them accordingly. I can easily keep this on my desk and grab my stamps whenever I need them. 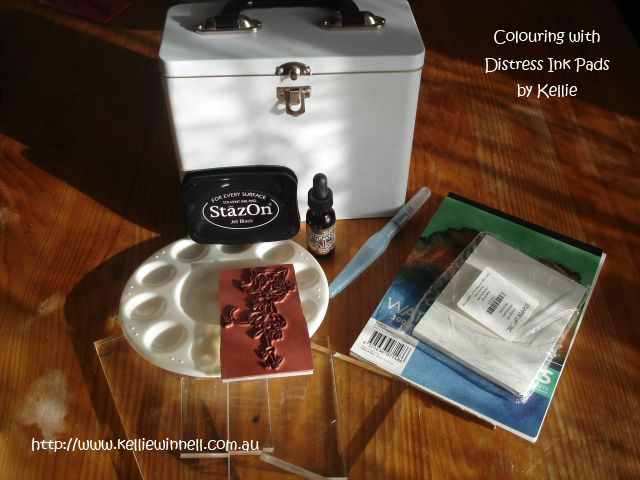 I keep my acrylic blocks in the back so they’re handy too. Your best bet is Etsy or Ebay. They don’t make them any longer so it can be a bit of a search but totally worth it! Great storage idea! Thanks for the info on where to buy!! That’s a really great idea Kristy! Thanks for sharing! Reduce re-use recycle! What a fab idea – clever chickie!! I like the idea too. I only have about 10 stamps and I keep mine in old CD cases. I have a cd stacker thing from way back (5 years ago LOL) and it holds about 50. I also put used sticker sheets in the cd cases too. This is a FANTASTIC storage idea! 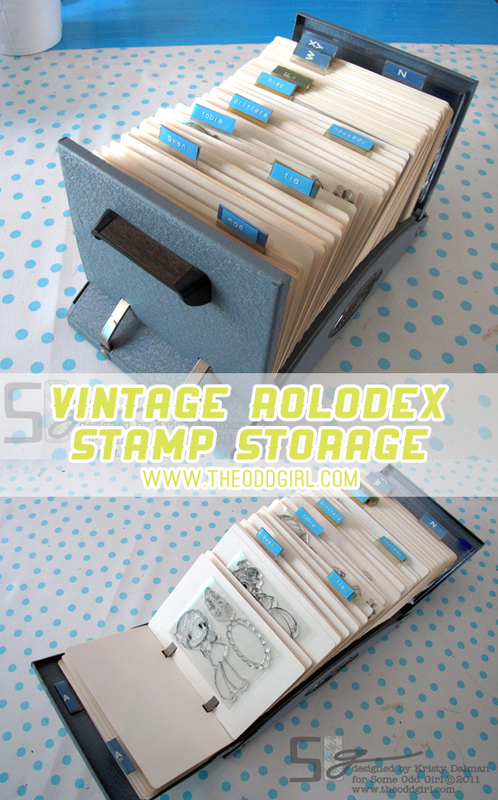 I’ve even seen those extra large Rolodex’s here in stores for less than 20 (a huge bargain for NYC where “vintage” means price gauging) so gonna pin this and start looking for my own tomorrow!!! Totally green and a superb idea! Great storage idea. I love anything vintage and this is just a great find! dang this is clever.. i love that storage ideA! What a great idea! I don’t have as much trouble with the larger sets since I store them in re-closable bags and hang them up but it’s the little ones that give me a headache! 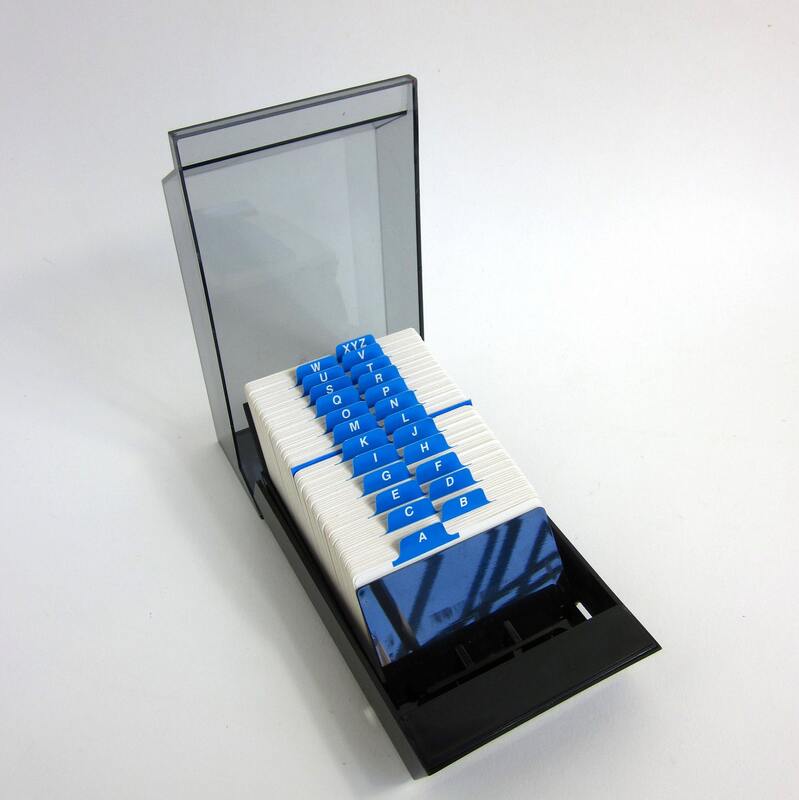 I love the Rolodex solution! How easy to flip through and find the one you are looking for! 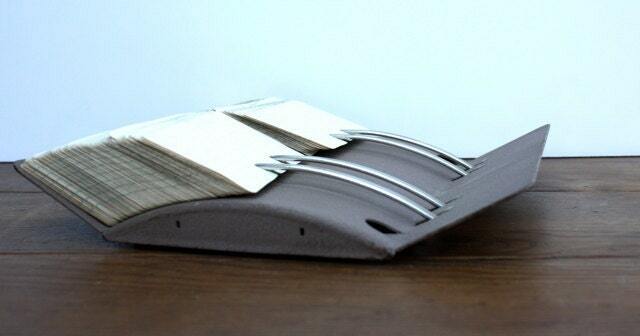 What a clever idea. I love how people can find uses for items that seem to have passed thier prime. I think I might have to go looking for my own. Thank you. 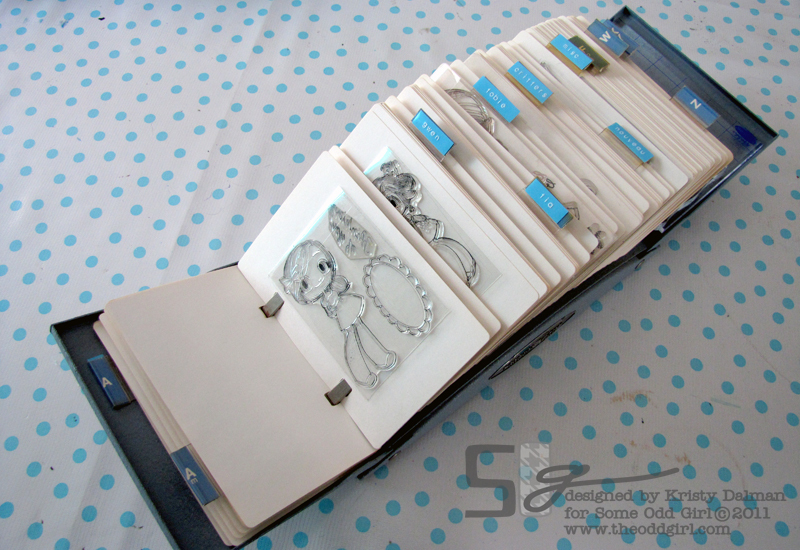 Now this is a very clever and handy storage idea for stamps!!! Thanks for sharing this is with us. GREAT idea. Thanks for sharing. I am going to go onto ebay and look for one right now. Awesome Idea….. Thanks. Wonderful idea, unfortunately I have not desktop are to store things, so recently i had to redo all my storage for my acrylics, so I covered 8 1/2 sheets of white card stock with my laminating machine, so the sheets were nice and stiff, then 3 hole punched them and put my sets in their original sheets onto these sheets with my ATG gun, so now I have about 4 binders full, and still just keep my wood stamps in drawers for now. These albums hold all my acrylics and cling stamps. 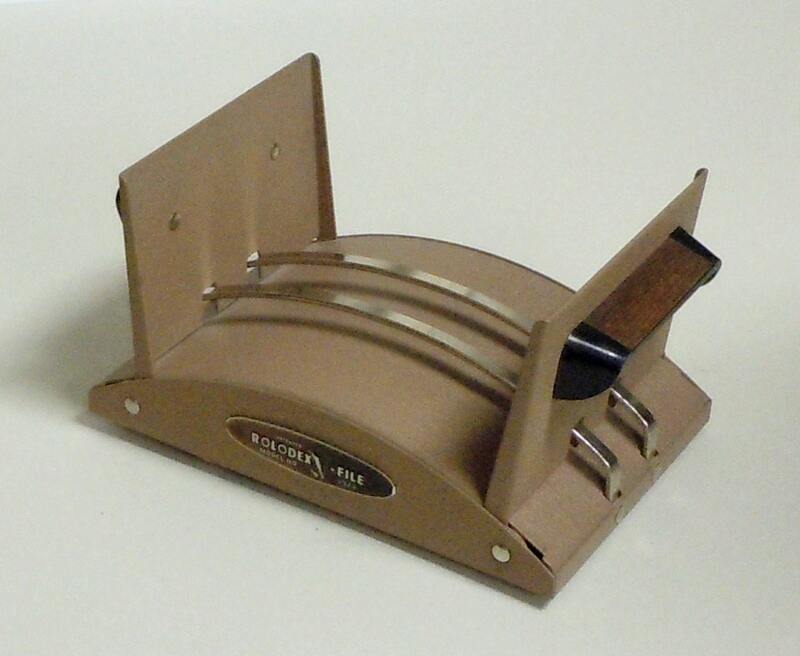 I would need more than one Rolodex as well, so for now I have to use this method, but yours sounds a bit more accessible if you have table top room. Great idea Kristie! 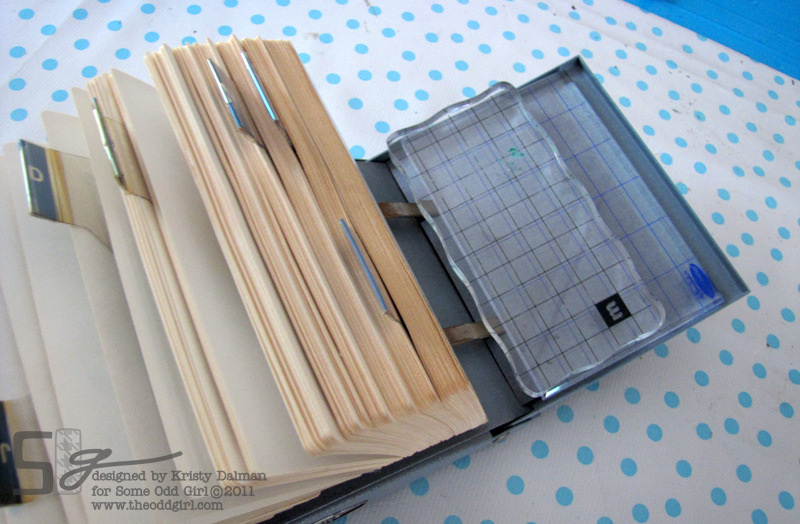 I use a binder with 4 pocket page protectors. Each one fits perfectly. Happy birthday!! This is a terrific idea. What do you recommend if you no longer have the original package to adhere to the index card? Snack bags maybe??? You would need a stiff kind of plastic as you’ll be tugging the stamps on and off of the plastic. 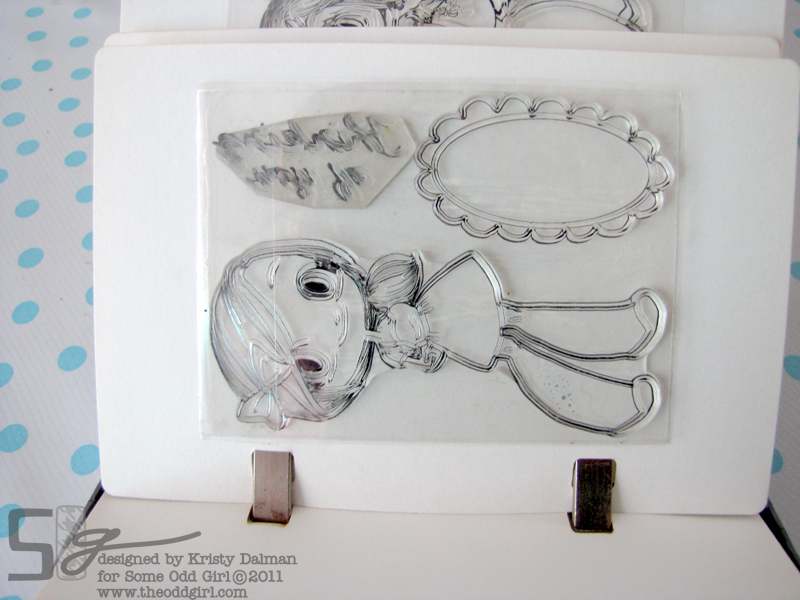 Transparencies or plastic dividers cut up should work though I don’t know if they are good for the stamps. STAMP THE PICTURES OF EVERY STAMP, COLOUR IF YOU WISH, THEN USE THAT IN A SUITABLE SIZED PLASTIC BAG. 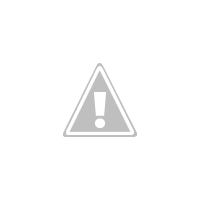 SORT STAMPS INTO E.G. BABY…CHILDREN…LADIES…GENTS…GREETINGS…ETC. hope this helps.  Just now I discovered this site. Love it! What a great idea! What are the card made out of, so that the stamps will stick to them? 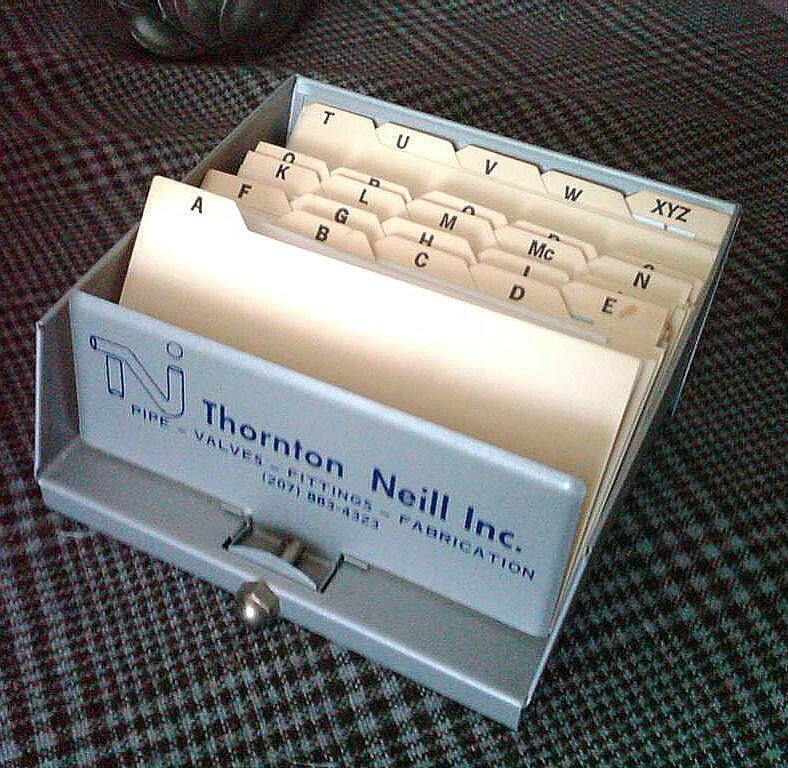 I kept them in their original plastic backing and used my ATG gun to adhere it to the cards of the Rolodex. Love this idea!! 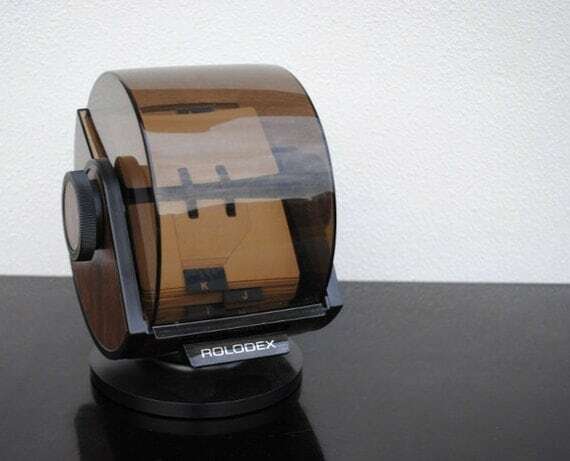 I see rollodexes at thrift shops all the time, and now, I’m going to pick up a few thanks to your awesome post. Thank You! so glad you liked it Brenda! I am still in love with this set up 4 years later so I hope you like it just as much! This is so brilliant! Now my small stamps won’t be smooshed in a box anymore & I’ll be able to easily find what I need. Thank you!